Founded in Spring 2009, Estate Crush is downtown Lodi’s first custom crush winery for premium wine production. 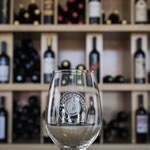 Estate Crush’s state-of-the-art facility is specially designed for small to medium production, and the Estate Crush team makes wine for more than 50 different brands. Estate Crush’s Tasting Room (open since December 2011) features only wines made on-site. There are more than 35 brands and 88 wines represented in the Tasting Room. Sixteen wines are on the tasting and by-the-glass menu, which changes monthly, and more than 85 of Estate Crush’s wines have been selected as medalists in prestigious competitions. Tasting Fee: $10.00. Refunded with purchase.